Confident mature businessman with mobile phone. Elderly bearded businessman talking on smartphone on blurred background. People, business and technology concept. Successful elderly businessman, blurred background. 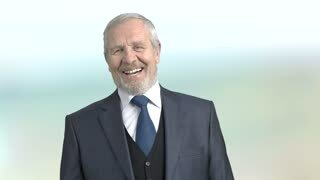 Slow motion senior bearded manager laughing on blurred background. Joyful european corporate. Senior businessman talking on phone. Confident elderly businessman talking on smartphone of blurred background. People, bussiness and communication. Elderly businessman working on pc tablet. Confident mature man in business suit using digital tabet on blurred background. People, business, technology. Laughing elderly businessman, blurred background. 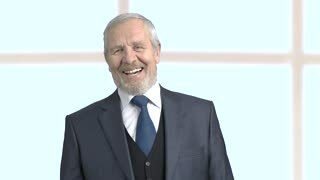 Senior bearded man wearing business suit laughing on window background. Senior bearded doctor on blurred background. 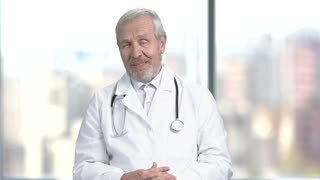 Elderly caucasian doctor is talking and looking at camera. People, professions, medicine. Grey haired businessman laughing on blurred background. Elderly bearded male executive is laughing, slow motion.